Caterpillar Inc. is the world’s leading manufacturer of construction and mining equipment as well as diesel and natural gas engines, industrial turbines and diesel-electric locomotives. Serving as a dominating force in the construction industry, CAT has become one of the most trusted brand names out there. Customers of this company can be found all over the world. CAT is also a leading financial services provider through Caterpillar Financial Services. Caterpillar makes sure to give back to the community. The Caterpillar Foundation was created in 1952 with the goal to support environmental sustainability, access to education and fulfillment of basic needs. CAT’s long history of innovation and usage of modern technology provides customers with the solutions they are looking for. They are constantly looking for new ways to improve their machines, generate fewer emissions and even explore advancements in autonomous vehicles! One of CAT’s biggest strength is integrating customer feedback to ensure customer happiness and success. Take a look at these other fast facts about CAT equipment! Caterpillar Inc. is the primary service provider for all major North American railroads, making them responsible for over 100,000 miles of rail. CAT has the building capacity to create over 180,000 machines worldwide every year. CAT uses 15 million pounds of steel weld wire every year to create its heavy machinery. Throughout the aggregate and quarry industries, Caterpillar trucks move more than half of the rock in the world. With machinery comes pollution. CAT releases millions of metric tons of carbon dioxide into the atmosphere every year. This is more than the car pollution of all the cars in Washington D.C.
Caterpillar makes more than 25,000 forklifts a year. This many forklifts could lift almost 1,000 Empire State Buildings! CAT manufactures about 225,000 large truck engines every year in the United States. At any given time, more than 100,000 CAT engines are at work worldwide. Caterpillar Inc. generates so much revenue that it has a bigger economy than the entire country of Costa Rica. 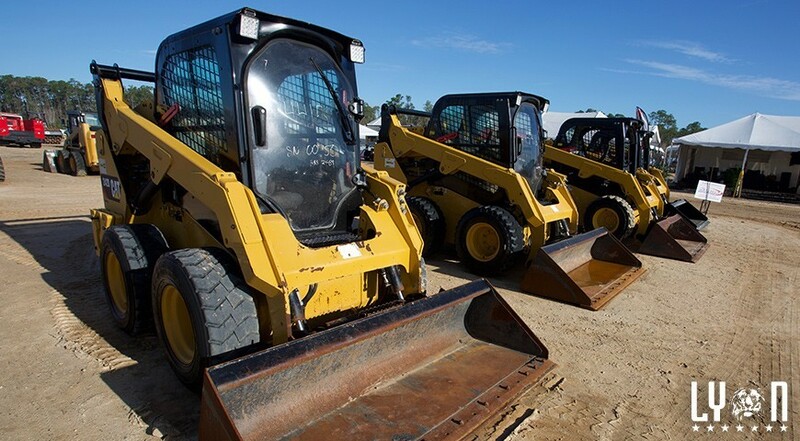 We trust Caterpillar equipment and are proud to sell their machines at our auctions. What heavy equipment brands are you most loyal to?